Veteran's Day is celebrated on November 11 in America, and this article honors three veterans of the 92nd Infantry Division of the US Army. These portraits will add faces to our most-read post Liberation Day and the Liberation of America, which is about an aspect of America's racial and social evolution which happened in the Garfagna, Versilia, and Lunigiana areas of Italy. It's also the post we are proudest of - for one simple reason: young people are reading it. Perhaps they'll learn a bit about their heritage, perhaps they'll learn a bit about Italy. Whatever they learn, it matters most that they are rewarded for being curious, for questioning, for thinking, and for dreaming. 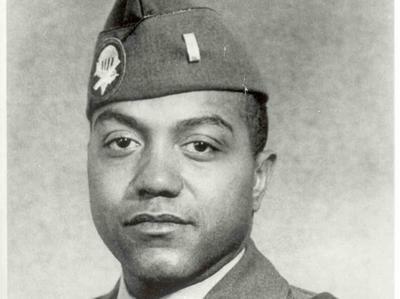 In 1992, responding to pressure from the Congressional Black Caucus, the US Army commissioned a study to ascertain why no African-American soldiers had earned any of the 457 Medals of Honor awarded during World War II. It examined the records of those earning the Distinguished Service Cross and as a result, seven African-Americans received the Medal of Honor, including Lieutenants Baker and Fox from the 92nd Infantry Division for action in Italy. "America has a conscience, and it's clearing its conscience, thank God." 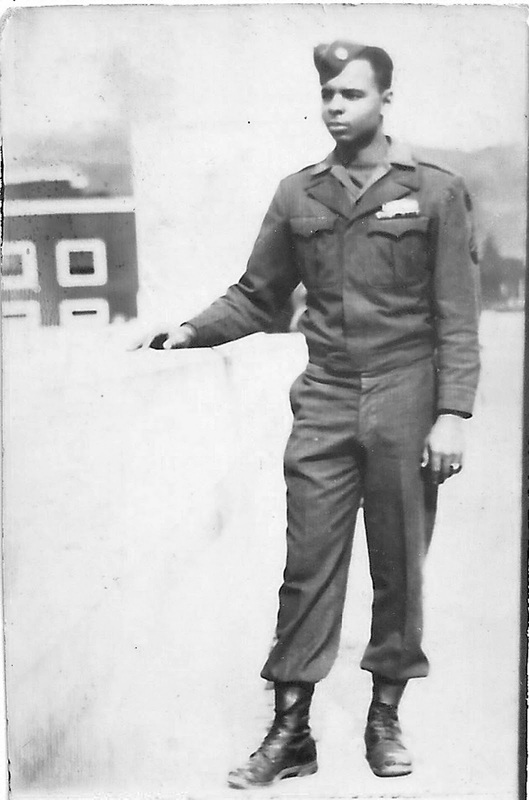 Lt. Vernon J. Baker, Company C, 370 Regiment, 92nd Infantry at his Medal ceremony. President Bill Clinton presented the Medal of Honor to Lt. Vernon Baker on January 13, 1997. Lt. Baker was born in Cheyenne, Wyoming, and was orphaned when he four. He was raised by his grandparents. When he tried to enlist in the Army the first time, in 1941, he was turned away, the recruiter stating "We don't have any quotas for you people." He tried again three weeks later with a different recruiter and was accepted. He died at his home in Idaho in 2010 at age 90. The Official Citation for his Act of Valor* describes his actions: "For conspicuous gallantry and intrepidity at the risk of his own life above and beyond the call of duty in action on 5 and 6 April 1945, Lieutenant Baker advanced at the head of his weapons platoon, along with Company C’s three rifle platoons, toward their objective; Castle Aghinolfi—a German mountain strong point on the high ground just east of the coastal highway above Pietrasanta in Versilia. Punta Bianca, between the two headlands is the entrance to the naval base of La Spezia. After Captain John F. Runyon, Company C’s Commander, joined the group, a German soldier appeared from the draw and hurled a grenade which failed to explode. Lieutenant Baker shot the enemy twice as he tried to flee. Lt. Baker then went into the draw alone. There he blasted the concealed entrance to another dugout with a hand grenade, shot a German soldier who emerged after the explosion, tossed another grenade into the dugout and entered firing his submachine gun, killing two more Germans. As Lt. Baker climbed back out of the draw, enemy machine gun and mortar fire began to inflict heavy casualties on the group of 25 US soldiers, killing or wounding about two-thirds of them. The reinforcements they expected did not arrive, and Capt. Runyon ordered a withdrawal in two groups. Lieutenant Baker volunteered to cover the withdrawal of the first group, which consisted of mostly walking wounded, and to remain to assist in the evacuation of the more seriously wounded. During the second group’s withdrawal, Lieutenant Baker, supported by covering fire from one of his platoon members, destroyed two machine gun position (previously bypassed during the assault) with hand grenades. In all, Lieutenant Baker accounted for nine dead enemy soldiers, elimination of three machine gun positions, an observation post, and a dugout. On the following night, Lieutenant Baker voluntarily led a battalion advance through enemy mine fields and heavy fire toward the division objective. Lieutenant Baker’s fighting spirit and daring leadership were an inspiration to his men and exemplify the highest traditions of the military service." "That will be right on you. I can't do that.'' the artillery officer shouted. "Fire it!'' Fox yelled back. Lieutenant John R. Fox calling in the artillery fire that would kill him. December 26, 1944. In 1972, an American woman named Solace Wales began restoring a home in the tiny town of Sommocolonia, Italy. The remote village is above the small city of Barga in the area of Tuscany known as the Garfagna. A mountainous area stretched along the Serchio River valley, it has been a conduit between adjacent Italian regions for centuries. Once a part of the Rome to Canterbury pilgrimage route known as the Francigena, modern travel now opted for coastal routes. Unfortunately, in World War II, its attraction as a route of travel made it a battleground. Solace learned of the World War II battles in her adopted town, and learned of the help the villagers' received from the American soldiers that served here. She gathered the villagers' memories of the battle that began on Christmas Day, 1944. One day near her home, she came upon the stone that remembered John Fox, and so began her research to learn why there was no other memorial honoring the brave soldiers the villagers remembered. In the days before the internet was developed, it wasn't easy. Ms. Wales' efforts at researching the story on the US side had met a dead end at the Pentagon. Finally, in 1994, she found the 92nd Infantry veteran's group. 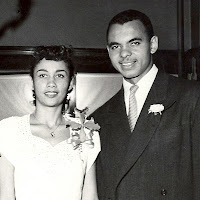 They were able to put her in touch with the Artillery officer, Otis Zachery, one of Fox's closest friends, and she was able to fill in important parts of the story. Fox's widow, Arlene, and his daughter, Sandra, and the 92nd veteran's group, organized the pressure to recognize the soldiers who fought at Sommocolonia - especially since more of the story was now available. On January 13, 1997, First Lieutenant John R. Fox was awarded the Medal of Honor. 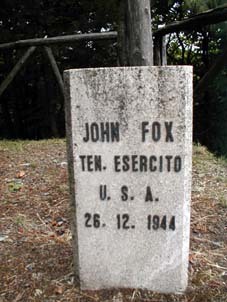 Lt. Fox's Citation*: For extraordinary heroism against an armed enemy in Sommocolonia, Italy on 26 December 1944, while serving as a member of Cannon Company, 366th Infantry Regiment, 92d Infantry Division. During the preceding few weeks, Lieutenant Fox served with the 598th Field Artillery Battalion as a forward observer. On Christmas night, enemy soldiers gradually infiltrated the town of Sommocolonia in civilian clothes, and by early morning the town was largely in hostile hands. Commencing with a heavy barrage of enemy artillery at 0400 hours on 26 December 1944, an organized attack by uniformed German units began. Being greatly outnumbered, most of the United States Infantry forces were forced to withdraw from the town, but Lt. Fox and some other members of his observer party voluntarily remained on the second floor of a house to direct defensive artillery fire. At 0800 hours, Lieutenant Fox reported that the Germans were in the streets and attacking in strength. He then called for defensive artillery fire to slow the enemy advance. As the Germans continued to press the attack towards the area that Lieutenant Fox occupied, he adjusted the artillery fire closer to his position. Finally he was warned that the next adjustment would bring the deadly artillery right on top of his position. After acknowledging the danger, Lieutenant Fox insisted that the last adjustment be fired as this was the only way to defeat the attacking soldiers. Later, when a counterattack retook the position from the Germans, Lieutenant Fox's body was found with the bodies of approximately 100 German soldiers. Lieutenant Fox's gallant and courageous actions, at the supreme sacrifice of his own life, contributed greatly to delaying the enemy advance until other infantry and artillery units could reorganize to repel the attack. His extraordinary valorous actions were in keeping with the most cherished traditions of military service, and reflect the utmost credit on him, his unit, and the United States Army. Ivan J. Houston had experienced that characteristic exuberant Italian warmth many years before, but one day in 1978 in Viareggio he was swept away again, this time con brio . As Mr. Houston tells it in his book, 'Black Warrior', "Walking in the little shops that dot the beachside, we came to an artist's studio. My wife, Philippa, an artist herself, said, "Let's go in." The artist was there; and as we looked around, I said to him in Italian, "I was here in 1944 and 1945." He was a big, gruff-looking Italian, and he said, "Tu, Buffalo?" I said, "Si." He started hugging and kissing me with the great emotion common to Italians. He opened his wallet and pulled out an old card that identified him as a partisan. His name was Bruno Tintori, and he described how he had helped us carry ammunition over the mountains. He took us next door to a bar, introduced us to his friends, and we talked and drank grappa the rest of the afternoon. Bruno Tintori is now dead, but I later learned that he had become one of Italy's most famous contemporary artists." In 1943, although it was a sacrifice, Ivan Houston had not doubted that he would join the Army and fight for his country. Although he was in the midst of getting his college education at his father's alma mater, the University of California at Berkeley, he signed up. His father had fought in World War I and his great grandfather had fought in the Civil War. But no young man of 19 would be sufficiently world-wise to be ready for the experiences he faced. His world in Southern California had not prepared him for the segregated and racist institution he would find in the Army. His track and field experience hadn't sufficiently prepared him for the 100+ degree temperatures and the forced marches in an Arizona training camp. Attending a fully integrated Berkeley was not much use to him as the only college man in a segregated barracks where many could not read. Mr. Houston entered the combat zone in August, 1944, as part of the 370th Regimental Combat Team, stationed at Cascina on the southern bank of the Arno. The German / Italian Fascist forces lay to the north. The next nine months are a long series of attacks and counterattacks and troop movements as the Allies try to overcome the German forces arrayed along and in front of the Gothic line. Beginning the war as a battalion clerk, Ivan was in position to see and record his unit's action. After the Arno came action in the Garfagna, then Versilia, and then back to the Garfagna. As the war in Italy neared an end, Ivan tells of how his unit raced up the Garfagna and entered the Magra River valley near Casola. The units outran their support, but also surprised the German forces. Quickly taking Aulla, and then Terrarossa, they liberated Pontremoli on April 26, 1945. The assistence of partisans, partigiani, is a background throughout the action. Every US unit was assisted by local interpreters, and partisans advised constantly on local conditions and helped coordinate and participated in attacks. For the final push to Pontremoli, over 1,000 partigiani helped clear the mountain areas. In reading Mr. Houston's book, one reads of the daily considerations of this topsy-turvey world. It is part of America, but distant from the one we know. The world is at war, and giant institutions thrash awkwardly with the consequences, creating a kaleidoscope of changing reality. "Bruno Tintori's expression of gratitude for what the Buffalo Soldiers had done for Italy, fighting in the rugged North Apennine mountains and freeing them from the yoke of Fascism and Nazism, will always be remembered. To the Italians we were first class. To the Italians we were heroes." Wikipedia Lt. Baker A caring description of Vernon Baker's life. SFGate Excellent article about Lt. Fox, the 92nd, and Solace Wales . Wikipedia Lt. Fox Overview of information on John Fox. * We have made minor modifications for clarity, brevity, and geographical accuracy.